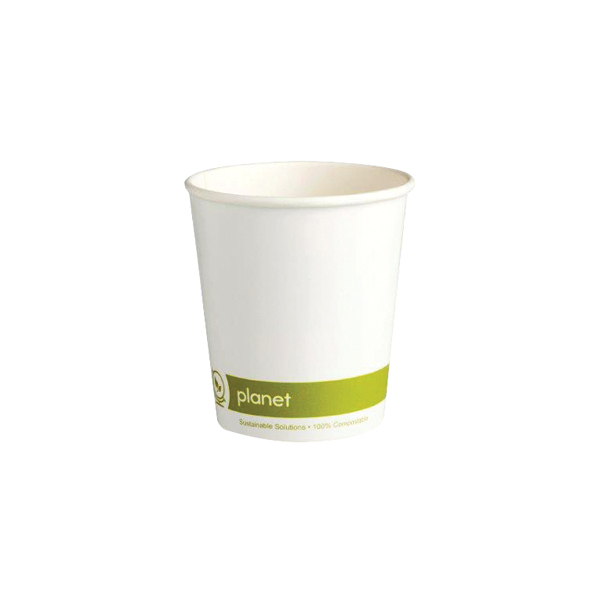 These environmentally-friendly, disposable paper cups are recyclable, compostable and biodegradable. Perfect for carrying hot drinks and soups, these cups are double walled to keep the contents warmer for longer and to protect the hands against heat. Easily disposed of, lowering your amount of washing up, these cups are convenient and cost effective. Not suitable for vending machines.